Magnet #141. Vintage Illustration. Funny Fridge Magnet. 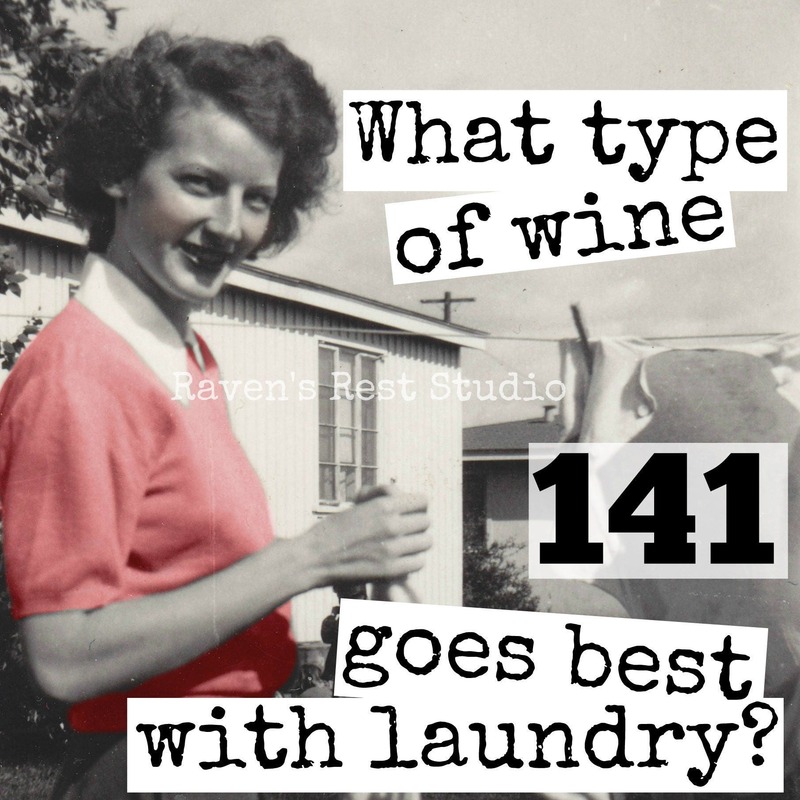 What Type Of Wine Goes Best With Laundry? 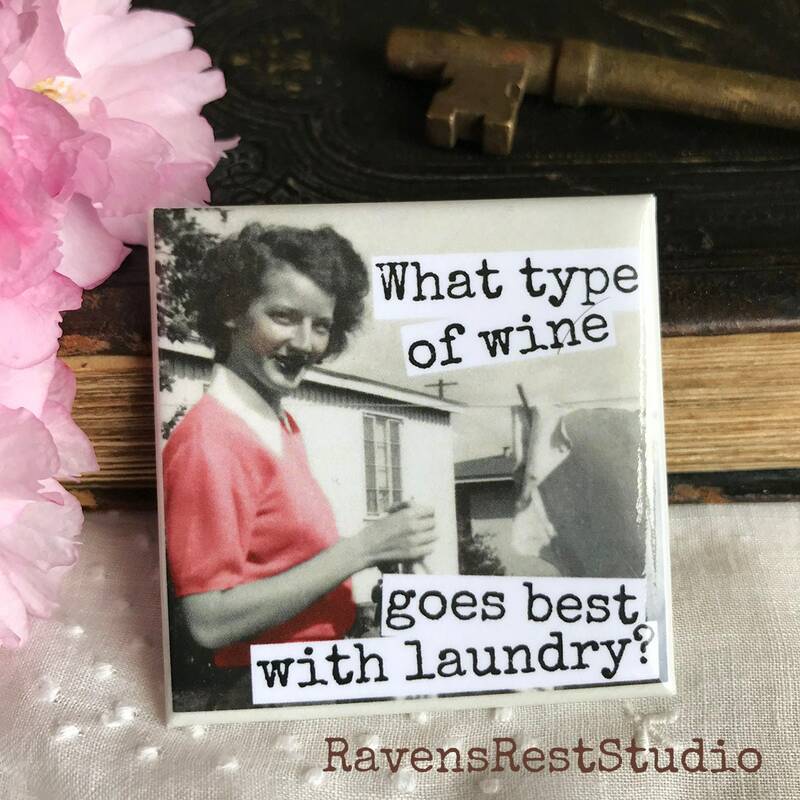 This 2 inch square magnet features a vintage woman hanging her laundry and reads: "What type of wine goes best with laundry? ".